Why You Cannot Do Without Plumbing Services Plumbing services can take care of a lot of problems. The issues that can be solved by plumbing includes clogged sinks and toilets as well as pipe bursts and its effects are not limited to residential areas but it can also be a problem for business establishments. These problems can actually leave a negative impact on businesses and commercial establishments hence, plumbing services is necessary. Plumbers can offer a variety of services according to the nature and the extent of your plumbing issues. In order to get the most out of plumbing services and to avail of the benefits mentioned below, choose plumbers who can respond in a very timely fashion. Improvement on the Conditions Of Your Sewage And Drainage Lines When it comes to sewerage and drainage, the most common problem that comes up is the issue with clogs. However, due to the advancements in modern science and technology, expert plumbers can now help you get rid of these clogs. There are many reasons why your pipes in your drainage and your sewers clog up – it maybe because of the stuff that usually passes through the pipes along with water, such as grease that builds up and hardens along your pipes, the soap suds and even mineral deposits. Professional plumbers can easily identify the cause of your plumbing concerns, hence they can readily eliminate those since they know how to handle with those materials after they’ve identified those. Professional plumbers can also offer a whole lot of other services and also cater to your other concerns regarding your drainage and your sewage, including pumping out your septic tank, clearing whatever obstructions there may be in your pipe lines, and they can even fix up your drainage and sewer lines in case there are leaks and damages. This means better business for you because your customers will not complain about clogged toilets and jammed bath tubs or poor food services just because the sinks in your restaurant happened to be clogged. Installed And Upgraded Plumbing Parts And Fixtures A professional plumber can also help you install new plumbing fixtures or reinstall an entire plumbing system too! The fixtures that can be installed will depend on what type of establishment you want to install it to. If you want upgrades on your plumbing fixtures and plumbing systems, an expert plumber can also provide you with that. Controlling Your Water Temperature If you are having problems with the heating system that is supposed to provide you with heated water, the expert plumber that you hired can also address that given concern. 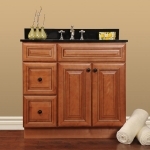 Choosing Your Bathroom Cabinets (Remodeling Your Kitchen) Bathroom Remodeling: Should You Change Your Bathroom Theme?